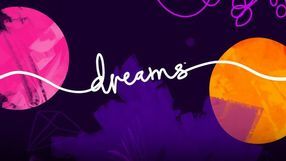 Dreams is an action-adventure game that enables the player to explore worlds generated by other players. The users can decide what shape their world will have, who will inhabit it and what challenges the visitors of their reality will face. Editor allowing you to create your own levels from Super Mario games and share them with the whole community. 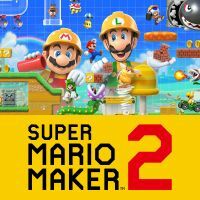 Steps created from scratch in Super Mario Maker 2 can be checked in several graphical versions. 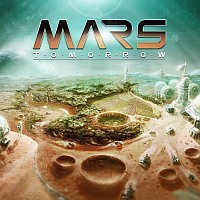 Mars Tomorrow is a browser strategy game in which we play one of the pioneers designed to adapt Mars to human settlement. German studio Gamefabrik is responsible for the production. Eco is a sandbox game developed by Strange Loop Games. The title features an advanced ecosystem simulation. The players' actions have direct impact on the environment and unwise exploitation might lead to the collapse of the whole biome. 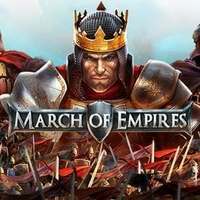 A mobile strategy game by Gameloft, in which we lead one of three factions and try to forge a powerful empire. In its general premise, the title doesn’t significantly deviate from the standards of other common mobile MMO strategy productions. The player’s tasks include continuous development of infrastructure, researching new technologies, raising a powerful army, and conquering other players’ territory. In March of Empire, we can assume the role of a king, a tsar, or a sultan, and the choice has a quite big influence on our starting parameters and the further course of the game. Moreover, Gameloft’s title is characterized by a slightly more developed plot and gameplay depth that is influenced by such factors as seasons or weather conditions. The tactical layer is also more extensive — in battles, we can apply various formations, each having its pros and cons. The game features rich social options and the possibility of forming alliances. A browser-based game set in the world of George R. R. Martin's Song of Ice and Fire. 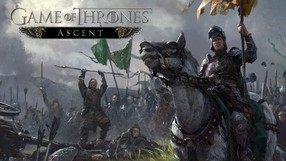 We play the role of a noble born, who joins the fight for the throne on the continent of Westeros, taking the side of one of the main families. We form alliances with our Facebook friends and climb higher and higher up the ladder, eliminating opponents. An online fantasy strategy game, in which the players can build their own settlement and raise an army to conquer enemy villages and repel other players' attacks. In order to succeed, one has to erect defensive structures that protect his or her settlement after logging out. The game strongly emphasizes starting the titular clans in order to receive ally support. A spin-off to the Call of Duty series. It is a free-to-play strategy game created mainly for mobile devices. As the title suggests, the game focuses on the characters featured mainly in the Modern Warfare and Black Ops subseries. Thus the player meets the old acquaintances, such as Captain Price, 'Soap' MacTavish or Mike Harper. In terms of the mechanics, the game was inspired by social strategies, such as Clash of Clans. The player's task is to transform a small outpost into a strong military base capable of defending itself against attacks of an exceptionally powerful enemy. The player constructs buildings and defensive structures, trains soldiers and improves technologies. The previously mentioned "heroes" play the crucial part here, for their special abilities can tip the balance in favor of the player's victory more than once. Call of Duty: Heroes offers average-looking visuals. It is also a subject to limitations encountered commonly in free-to-play games. Age of Empires: Castle Siege is a spin-off of the best-selling Age of Empires series. Castle Siege is a free-to-play game with optional microtransactions. The game was developed by Smoking Gun Interactive, creators of many mobile games and Kinect games for Xbox 360, under the watchful eye of Microsoft. Castle Siege is set in medieval times, and the players can choose one of the few historic factions to play as. The game's mechanics are rather different than those from the regular Age of Empires games. Age of Empires: Castle Siege has two primary gameplay aspects: the economic one, focusing on gathering resources, castle's extensions, and technological development; and the strategic one, which requires the players to attack other strongholds, controlled either by A.I. or other players. Multiplayer, which allows PC and mobile gamers to play together, is the core of the gameplay. However, Smoking Gun Interactive also created a single player mode, in which the players can play out a multiple mission campaign, and single scenarios inspired by famous historic battles. A colorful economic strategy, in which we deal with the development and expansion of the farm, handed over to us by an old uncle. In the course of the game, we erect new farm buildings, sow fields, breed animals and trade in the produced goods, carrying out further fictional tasks. Browser fishing game, developed by the native studio Ten Square Games from Wroclaw. The authors reproduced nearly 40 characteristic fisheries from all over the world and over 400 species of fish - from the most common, to those exotic and unique. A wide range of angling equipment was also taken care of, used depending on the type of angling practiced and the species caught. Social strategy game MMO, set in the Tolkiensky Srodmiescie and based on the film trilogy Hobbit. The game focuses on building elves or dwarf cities and competing with other players and fighting with enemy goblins. It is the work of an experienced Kabam studio. 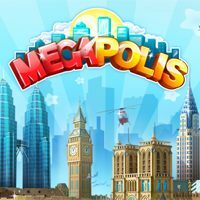 Social economic strategy, in which we play the role of the mayor of a virtual town, and our goal is to make it the title metropolis. 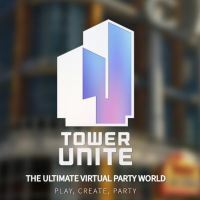 During the game, we erect residential buildings, production facilities, public buildings and decorations, taking care of the residents' satisfaction and constant influence on the city's cash register. Browser MMORTS strategy, set in ancient times. In the game we take care of one of the small Greek cities, and our task is to make it a real metropolis through constant development in the economic and military spheres. We have at our disposal a variety of buildings, 30 unique technologies to discover and the specific powers of the Greek gods who will bestow their favor on us in exchange for their homage. 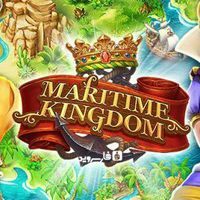 The game allows you to choose a diplomatic or military strategy, offering epic battles on land and on the high seas. Game Insight's social economic strategy, which is a continuation of the model started in The Tribez games. In the game we take on the position of mayor of a small port town, and our task is to expand it and help the princess in recovering the crown jewels and freeing the king. The title belongs to the species of classic city builders, enriched with the possibility of trading with overseas kingdoms. A social economic strategy in which we are expanding the railway network in an effort to lift a declining family interest. During the game we transport a variety of raw materials, thanks to which, as the game progresses, we will build a fleet of trains, build new cities, factories, as well as railway tracks and stations, thus creating a powerful transport empire. An economic social game in which we play the role of manager of a small airport, and our goal is to make it a powerful international airport. While having fun, we invest not only in the expansion of the airport infrastructure, but also in the development of the neighbouring city. The main source of income will be further flights to various tourist destinations around the world. A city builder strategy game created by Electronic Arts Salt Lake. The player is taken to a cinematic universe that made its first appearance in 2010, when Despicable Me was released. In the game, the player takes on the roles of the titular Minions that are traveling towards a holiday resort on a ship. When the vessel gets damaged, the characters land on a desert island where they decide to establish their own, tropical facility. The player's tasks here are to command the eponymous creatures, gather resources, construct new buildings, as well as create various useful items. Additionally, the main characters can have fun simply at any time, when engaging in activities such as hunting for electric eels, flying balloons or water-skiing. What is characteristic about Minions Paradise, are its eye-pleasing visuals that resemble the animated original. Both artists and screenwriters that co-created the film series took part in the production process of the game as well. Set in Star Wars, this mobile strategy game uses the mechanics of the popular Clash of Clans. 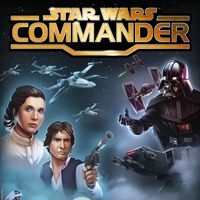 During the game we support the Empire or the Rebels, and the game focuses on expanding the base, conducting research on technologies and training soldiers and sending them to the battle. A mobile online real-time strategy game developed by Wargaming Group, the creators of World of Tanks. The game uses a free-to-play distribution model with microtransactions. In Gods and Glory the player is taken to a fantasy world split by war. The gameplay is based on two pillars: the development of the main protagonist and managing the country that is gaining power. Player must not only unlock new abilities and gather better equipment, but secure his capital city as well. The main attraction of the game are the real-time battles. 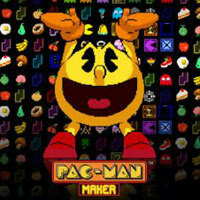 During them the player can use special powers provided by six deities that guard the universe. He must also expand his nation, improve technology and gradually transform his country into a worldwide empire. It is also possible to forge alliances with neighboring countries controlled by other players. 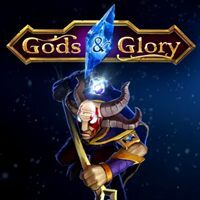 Gods and Glory features cartoonish 2D graphics, music composed exclusively for the game and dubbed dialogues. A social economic strategy in which we take control of our own island, located somewhere in the Caribbean, and our task is to make it a perfect resort and, at the same time, an excellent source of income.